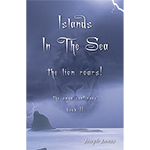 Islands in the Sea: The Lion Roars! | Book 2  - $13.99 : Beneficial Zone, Everything is permissible, not everything is beneficial! Dan, Susan, John, and Nikki answered the call in “Islands In The Sea: The King Walks In!” Book 1, but now the stakes are even higher. Visions into the supernatural realm continue with deeper revelations and also some unexpected twists and turns. The land they are purchasing for their project has a hidden evil past that threatens to undermine all of their plans. Can it be saved? Finally, Dan and Susan have their wedding planned in Europe and are on their way. However, a simple meeting in England not only threatens to spoil their special day, but places their very lives in grave danger. The King is again on the scene and now a new creature is heard in their midst. Fear strikes a deadly blow to the kingdom of darkness, but they have plans of their own to strike back. Centuries of planning, scheming and devious contracts are now threatened with exposure. Two creatures in the dark are determined to keep their territory hidden at all costs. Who is going to win? Will there be a compromise or will they go for it all? It isn’t enough that they are just ordinary people, but how do they stand before royalty and very influential people to give account for their actions? Is love strong enough to see them through, or will they back down in defeat?